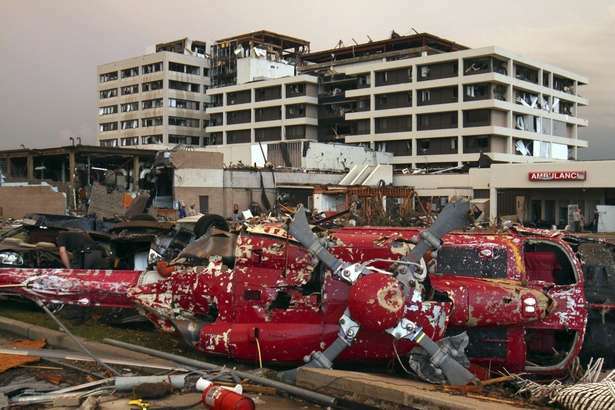 Here is a riveting account of what happened inside St. John's Regional Medical Center in Joplin, MO when it was struck by an F5 tornado last week. It is written by Dr. Kevin Kitka, one of the emergency physicians who was working in the hospital at the time. The story is both horrifying in detail and fascinating in terms of the human spirit. 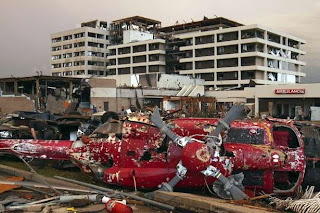 What the people of Joplin went through, and is going through, is definitely no Wizard of Oz fantasy. Though the road to recovery will be long, I have no doubt that their spirits remain intact and the city will be rebuilt better than ever.